In the recently concluded Philippine Junior Finance and Investment Summit at the SMX Convention Center in Manila was a treasure trove of valuable insights into prevailing trends and a view to the future of the finance industry in general. 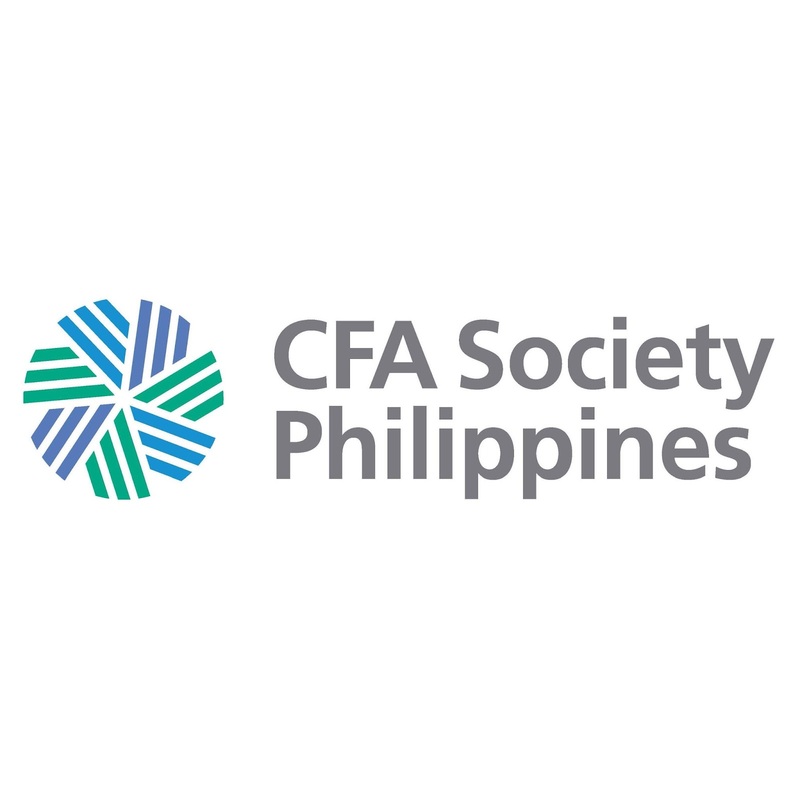 Andrew Stotz, President of the CFA Society Thailand offered his insights in his topic entitled "Ten ways ethics adds value to you" to delegates. Apparently he wants to impart that one can build his or her competitive edge by engaging in ethical practices. 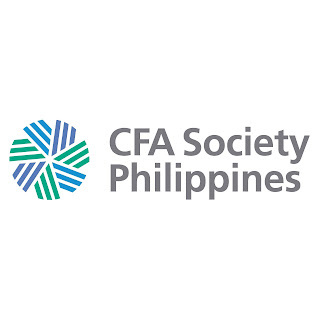 In the CFA Program, other financial areas where one can build competitive advantage would be in the industries of Financial Accounting, Alternative Investment, Derivatives, Portfolio Management, Corporate Finance, Equity Evaluation, Fixed Income, Asset Allocation and Behavioral Finance. Stotz extols ethics can be made as an advantage, he has practiced this for the past twenty years while working for various investment banks so he knows. "I was treated ethically and my family was treated ethically, and I have benefited from it for years; that's why I wanted to communicate ethics in a simple and positive way," Stotz said. As professionals, according to Stotz, one must be diligent, loyal, independent, trustworthy, always striving for continuous improvement, must be fair, objective, has a sense of confidentiality, thorough, and must be able to face and address conflicts head on. "We are meant to be independent on our work. We serve our clients. As financial professionals, we should fill the gap of our clients' financial interest. And your should care for your clients as you would your mother," he said. 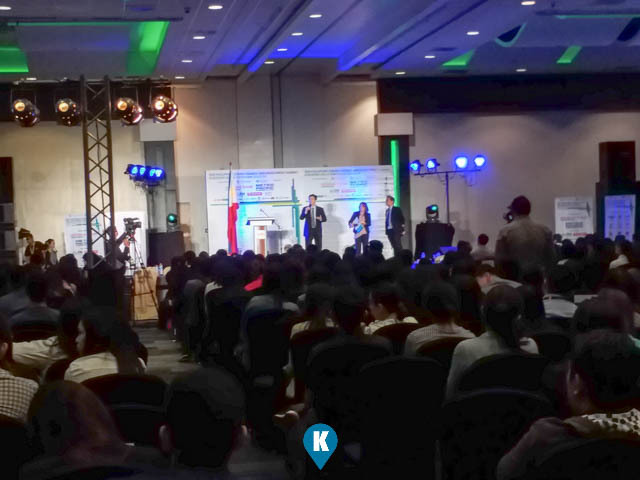 "Build your value through ethics. Spend more time building your ethical advantage than building your technical advantage," Stotz added. Ms. Rosalia de Leon, Treasure of the Philippines (Bureau of Treasury Department of Finance) one of the summit's keynote speakers also shared that "Live a balanced life. Try new things and develop hobbies. Make smart investments today apart from savings." 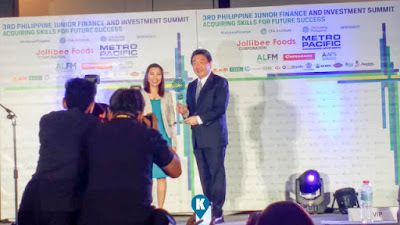 she also praised PJFIS and its advocacy. "This [PJFIS} is a very useful platform for the students and professional who really want to pursue a career in finance. 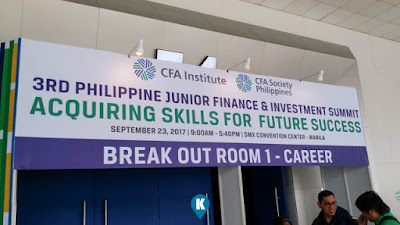 I would like to congratulate CFA for hosting this kind of conference that really educates students and young professionals about the finance and investment career and even the problems that may come up," de Leon said. Other speakers include Mr. Neil Govier, CFA–Head, Education Asia Pacific (CFA Institute); Ms. April Tan, CFA-Vice President and Head of Research (COL Financial Group, Inc.); Mr. Robert Stammers, CFA-Director of Investor Engagement on the Future of Finance (CFA Institute); Mr. Mark Yu, CFA-President (Retail) and CIO (SEAOIL Philippines Inc.); Mr. Mark Ilao, CFA-Business Development Officer (COL Financial Group Inc.); Mr. Ronilo Balbleran-Vice President for Operation (Research Education and Institutional Development (REID) Foundation); and Mr. Edmund Lee, CFA-President and CEO (Caylum Tracing Institute). The summit is already in its third run and is continually growing. Hope to see next one next year.